Dungeons and Dragons meets Call of Duty is the best way I could describe “Tactical Fantasy”. First came across the term on Eliot Min’s deviantArt page and was Wowed by the artwork/fleshed out concept. He took the standard classes and polished them off with modern combat sensibility. Would love to see this concept realized in a next gen video game franchise. 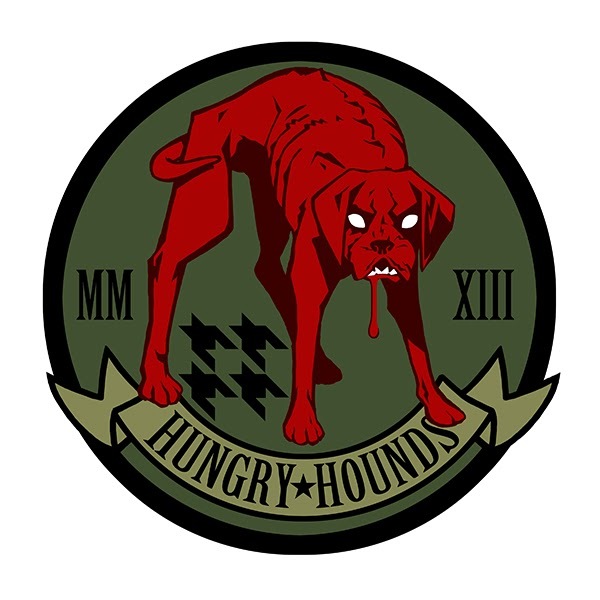 Hope Mr. Min expands his Hungry Hounds roster to include other D & D staples like a cleric or assassin. The battlefield has always needed a warrior that can physically move the line of action. The Knight determines the line of enemy contact with his presence. Brute strength and sheer determination pushes his enemies back, and with his battle hardened long sword, he is able to strike down the enemy. 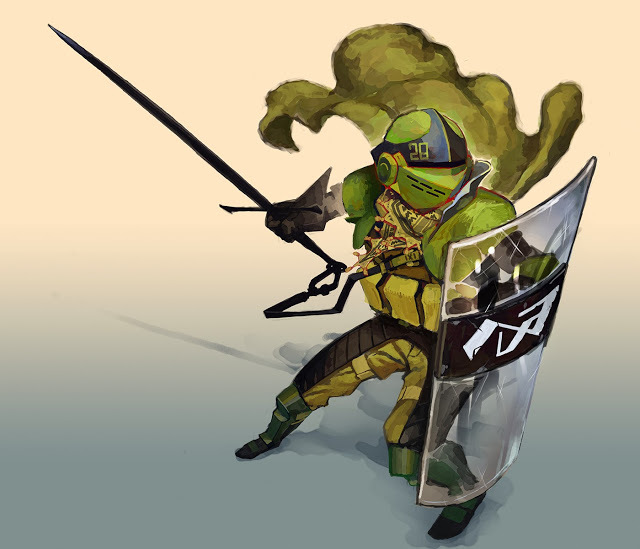 With his team behind him, he jumps into the fray and engages in close quarter combat. If any order is to be seen in the theatre of war, it’s thanks to the Knight being able to hold his ground. To be victorious in C.Q.C., the Knight needs 3 things. Speed, surprise, and violence of action. To assist him, he is suited with these three goals in mind. 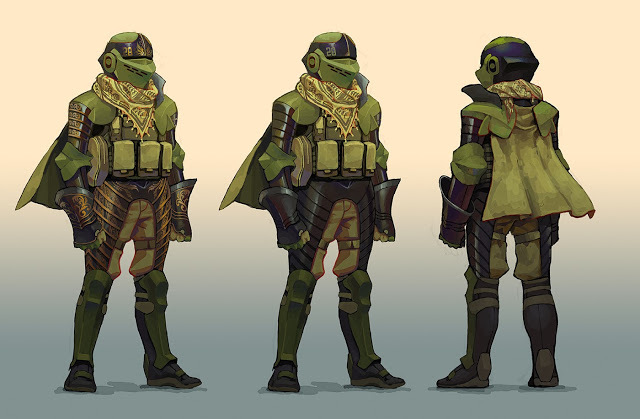 Sand filled carbotanium armor keeps the Knight’s center mass protected, while reducing noise from what was once made from steel plates. Cutting edge polymer plastics constitute the Knight’s tower shield. This clear polymer “riot shield” allows the knight to keep key members of his team and himself safe as he barrels through combat areas while giving him the situational awareness he needs to safely navigate the battlefield. The Knight’s motto is to never lose his sword once drawn. But in the reality of battle, amidst the confusion and madness of a skirmish, soldiers have found it difficult to live by that motto. With the Thrdhnd™ sling system, we make that goal a little bit easier. Connected to the long sword’s ring pommel via carabiner, the Thrdhnd™ forms an unbreakable connection between the sword and its operator. 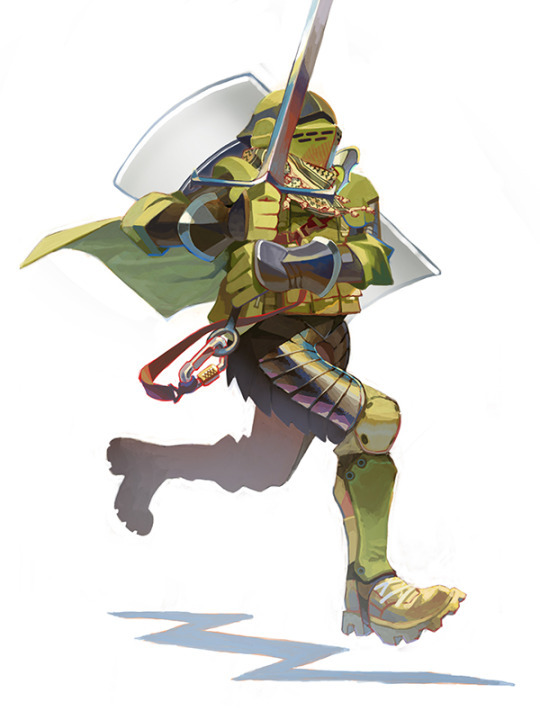 The modern mobile assault team is said to be built around the Archer. 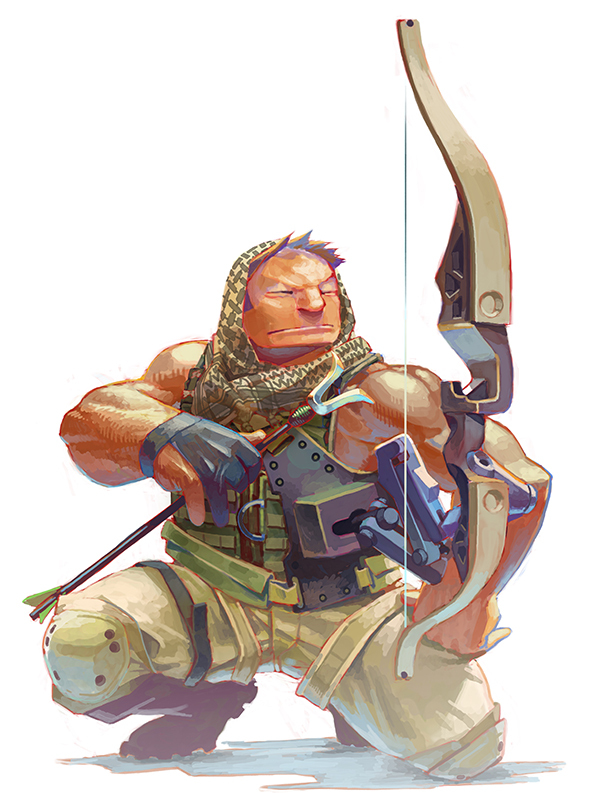 What separates the Archer from other combat operatives is the Archer’s ability to reach high value targets from far distances. Modern tactics have been sculpted around this aspect, and typically teams are assembled with the objective of providing the Archer with a clear shot. Because an Archer’s shot is imbued with such importance in missions, there has been continuous efforts towards maximizing the impact of the Archer’s payload. The bow string of a mil spec long range bow platform is said to have enough tensile strength to cut through soft wood. At a full draw, this high tension spider silk bow string allows the arrow to reach its target at super sonic speeds, while arrow shafts are milled from aircraft aluminum to ensure minimum mid flight flexing. But it’s most often the arrowhead that is crafted with the most exotic materials, ranging from high carbon steels to depleted uranium. Though the main objective of the Archer is to send accurate shots to eliminate essential targets, the harsh demands of combat and ever increasing tensile strength of the bow string necessitated the development of a new hands free/ bow hand support system. Cutting edge gyro scope technology now allows the Archer to take both hands away from his primary weapon to adjust arrowheads, switch to his secondary weapon, or make quick adjustments to his bow without having to break his sight picture. This new anchor point assisting levers system, or APAL system allows the Archer not only to load his arrow to his rig and go hands free, but allows him to concentrate on observation and surveillance without having to sacrifice the time it takes to get that crucial arrow down range. The persistent challenge facing the modern mage is the need for a consistent mana source in an ever changing combat environment and the stealth needed for the mage to finish reciting his spells without being detected by the enemy. 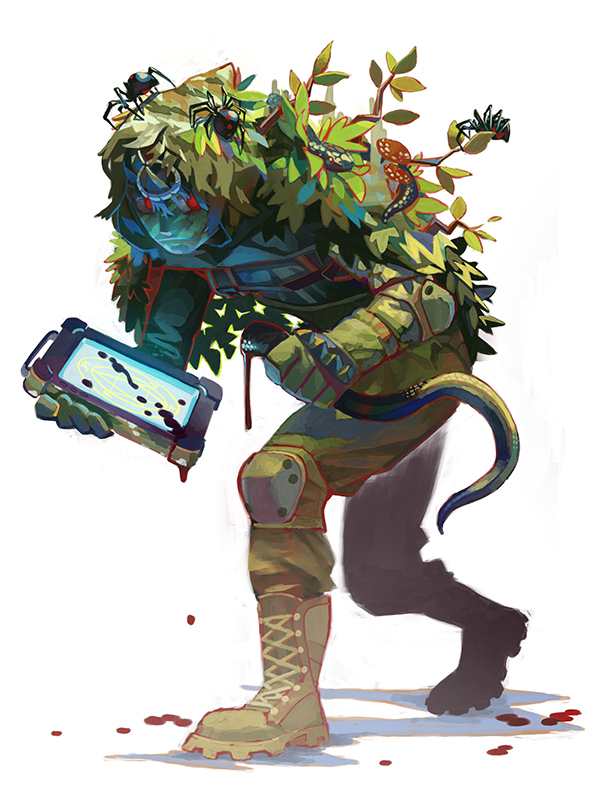 With the patented BakTac™ Ghillie suit system, you can carry your favorite mana rich vegetation on you at all times. The BakTac™ system allows you to create a mini Eco-system you can pull from whenever necessary. Add high mana generating poison spiders and black adders to the mix for on the fly sacrifices needed for spell boosts when encountering pinch situations. Paired with the TuffTome™ digital display spell book, the modern mage now boasts the most compact magic systems in history, ready for any challenge in the modern battlefield. If there was one operative that can set the tempo for a combat situation, it would have to be the Bard. Her objective isn’t to send direct damage down range, but to manipulate battle situations through less than lethal means. Though it’s rare that a Bard will boast a high kill count, it’s thanks to her the term “psychological warfare” has been coined. Outfitted with a high decibel tactical P.A. system, her influence on the battlefield is greatly amplified. With just her lute and voice, she sings songs that can mould the psyche of her enemies. In some cases, through singing highly classified songs, Bards have convinced enemy combatants to simply walk away from a battlefield out of home sickness. Mobile assault teams with Bards as part of their group train rigorously together. To the point that they seem to develop their own language. 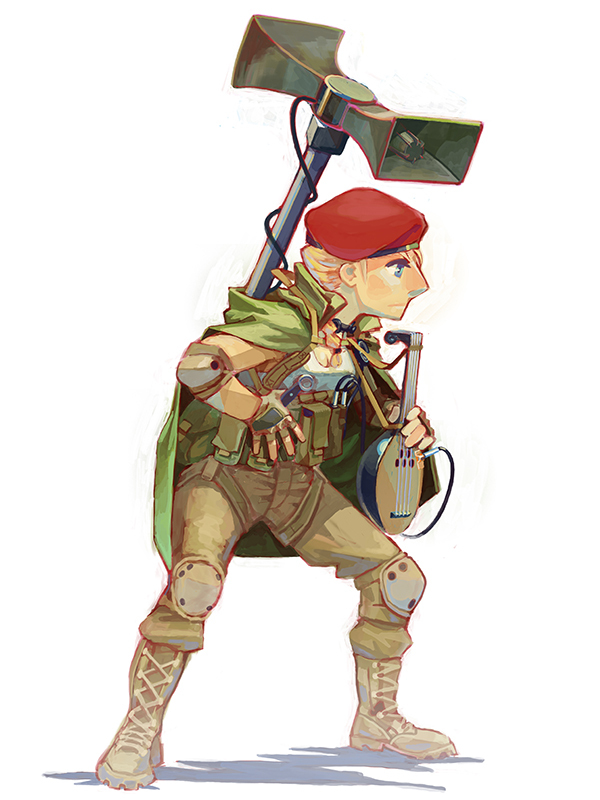 This is important because if communication lines are down, the Bard is able to communicate songs of battlefield situations to just her team through her back mounted P.A. system. In breaching missions she is invaluable. She can throw short band high fidelity wireless speakers calibrated to her throat mic into sealed rooms to sing songs of confusion before sending in the entire team to overwhelm the enemy. Only one of these commercials made Lisa’s top six. Yes, I did watch the Super Bowl this year. I don’t really know much about football but my boyfriend’s from Baltimore so I cheered for Baltimore during tonight’s game and I made sure to wear my favorite purple bra and thong. (Of course, I was wearing more clothes than just those two items but apparently, the important thing was that I was wearing at least a little purple.) However, I have to admit that I was mainly watching the game for the commercials! Super Bowl commercials have become something of an American tradition, beyond the fact that most of them tend to be overproduced and kinda sucky. But every year, after the game has been played, people spends weeks debating which commercial was the best. 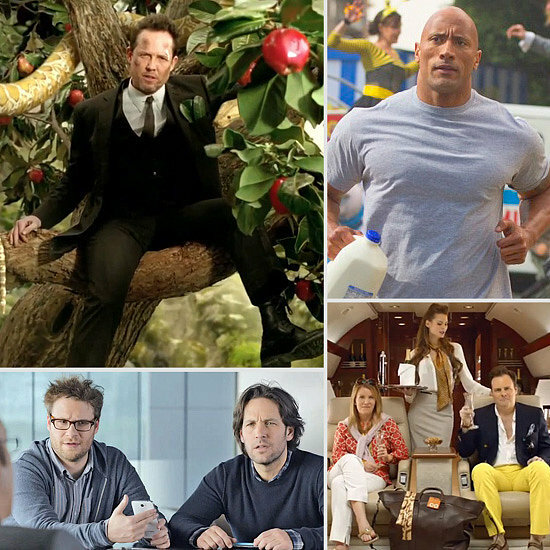 With that in mind, here are my 6 favorite commercials of Super Bowl XLVII. It goes on a little long but I still liked it. I don’t care what anybody says, I like the E-Trade Baby. 4) Mercedes-Benz — Willem DaFoe is Satan. It’s really not that much of a shock. I love how upset the M&Ms get over the prospect of being eaten. They’ve got a point, to be honest. This commercial made me cry. You probably already knew this was going to be number one. This commercial was the perfect antidote to years of creepy GoDaddy commercials.